Provide comfort for the family of Jumiya Baker with a meaningful gesture of sympathy. Jumiya Tyteonna Baker was born July 5, 1999 in Mobile, AL to Tasha Baker and Curtis Lark. She entered eternal rest on Sunday, March 31, 2019. Jumiya accepted God at an early age. She graduated from B.C. Rain where she excelled in every subject. She was a member of the National Society of High School Scholars, and the future Business Leaders of America, serving as Vice President. She received recognition as the Recruited Most Members & Leadership. She had a passion for Computer Technology and was a Microsoft Specialist. Jumiya had many talents and loved to sing. She participated in Rain Choral Music for 4 years. She was always mentoring or talking about mentoring and shared great pleasure in helping her peers. Jumiya graduated at the age of 17 and was accepted to several colleges. She achieved a Scholarship Gautrelet Award, then went on to excel at Springhill College. Jumiya worked at Dearborn YMCA as a teacher. There, she touched the lives of many children with tender loving care and they touched hers even more. Each day she expressed her love with a beautiful radiant smile. The sun may have set, but her light will shine for eternity. She was preceded in death by her grandparents: Annie Mae Baker, Willie Ferrell, and Darryl Allen; great-grandparents: Lawrence and Elsie Baker and Louis and Rebecca Bracey; and uncles: Cedric Lark and Kelvin Baker. Jumiya leaves to cherish her precious memories, her parents: Tasha Baker and Curtis Lark; brothers: Jamal Lark, Justice Bowie; grandmother: Charlene Bracey Lark, grandfather: James C. Jones; aunts: Shawanda Baker, Michelle Allen, Marcy Allen, Shanita Allen; uncles: Tyrone Baker, Anthony Lark, Joseph Allen, Metro Allen Darryl Allen, Jerome Allen. This precious gem was gifted to me by Geron Lewis-Gamble; Bobbye Rose Lewis, Charles Lewis and Kimberly Lewis. She also leaves a devoted and loving boyfriend: Juwan Roberts; goddaughter: Talayia Perryman; godparents: Latisha & Cecilio Myers, Erica Pickens, Kattye Moore, Reginald (Phyllis) Peyton; Rebecca Durgins, Henry Moore; host of devoted cousins, god-brothers, god-sisters, many relative and friends. 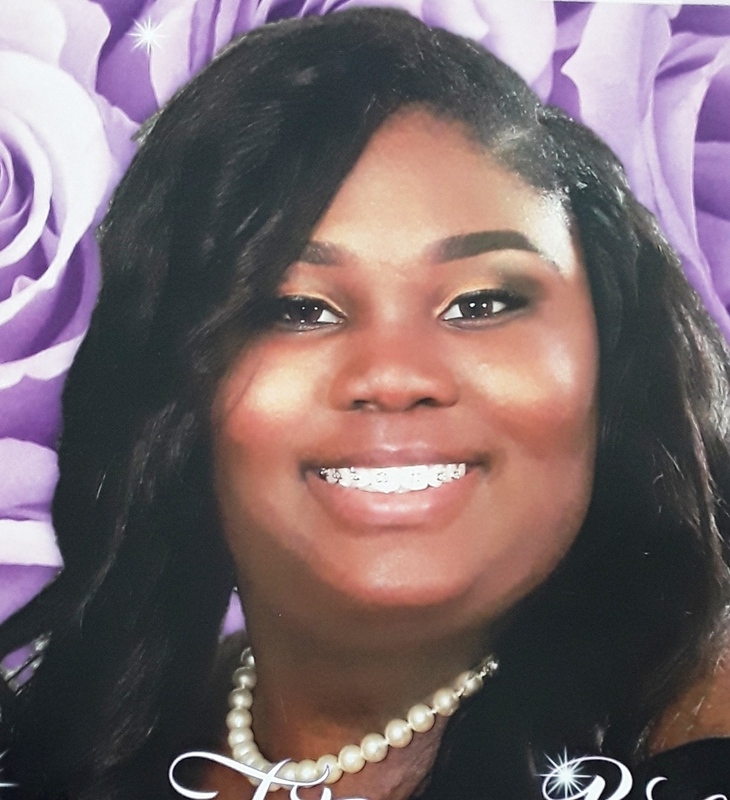 A visitation will be held on Friday, April 12, 2019 from 11am until the 1pm funeral hour at The Lighthouse Apostolic Holiness Church, 9890 Tom Waller Rd, Grand Bay, AL. Interment will follow in St. Elmo Community Cemetery. To send flowers to the family of Jumiya Tyteonna Baker, please visit our Heartfelt Sympathies Store. We encourage you to share any memorable photos or stories about Jumiya. All tributes placed on and purchased through this memorial website will remain on in perpetuity for generations. Provide comfort for the family of Jumiya Tyteonna Baker by sending flowers.